I love beautiful music, great sound, deep thinking and good company. For my latest project UNIFONY I use my middle name Theodoor. Hence the use of Jan Theodoor Borger on this website. UNIFONY is my debut album which sees day of light on october 12. It is a special project on which I worked on for three years with Minco Eggersman. 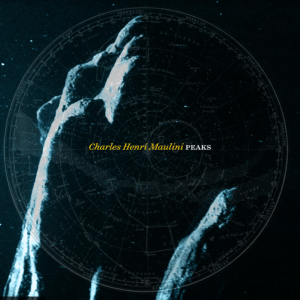 It features Mathias Eick on trumpet, is mixed by Phill Brown (Talk Talk), mastered by Bob Ludwig (Coldplay, amongst others) and the artwork is done by James Marsh (Talk Talk). I am honored to have worked with these people on my first appearance as a composer and player of music. See the UNIFONY website for more details on this special project. On this page, you can find some of my ideas and views - mostly on music and recording and what I care about. Furthermore, you can find something about the gear I use and the why of it. The best way to check what I do and who I am is to check out the music I make or check out other projects I am involved in. Or you can meet me in person. It's both fun and important to join and meet upfront with the people you want to collaborate with. Only this way you can go to the next level with your music. Working with each and every one's talent to make something that matters and not only adds to the pile of noise around. The intentions of your music are to be brought to the listeners. And that should be done carefully. Just like music, all of this is a personal affair. It starts with meeting up and talking about all the 'whys'. It's ness for me before I can figure out the 'hows'. Well. Getting to know each other, see if there is a connection and shared ideas. It is hard to create an outstanding work when this common ground doesn't match. And I'm the type of person who'd rather not spend his time on doing things which can be disposed right after making. So it needs depth to catch my attention. 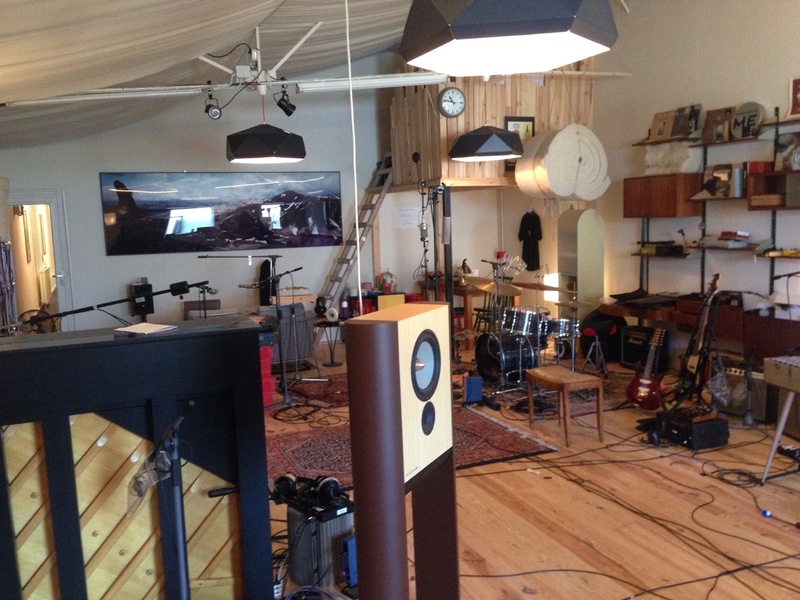 Since 2015 I have my own studio (80 square meters) with a lovely wooden floor and some great instruments (ie. 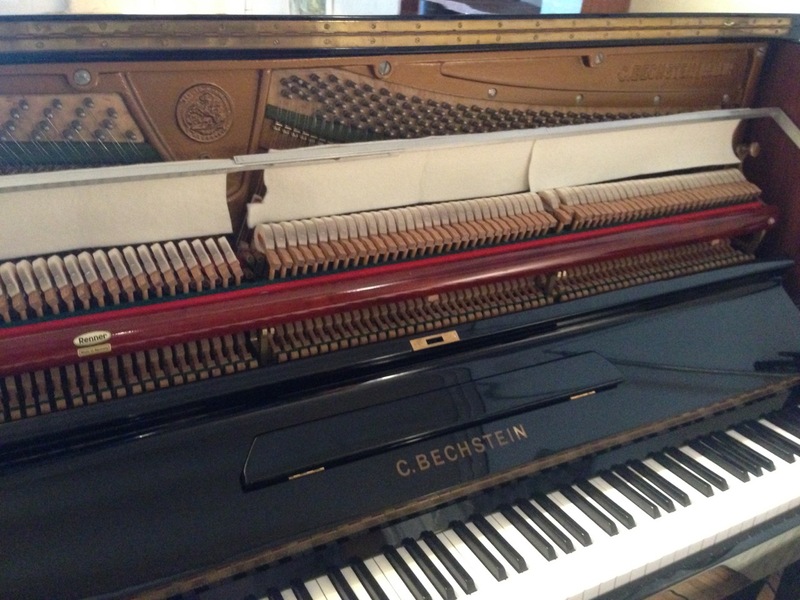 the greatest upright piano ever made: the Bechstein 8). 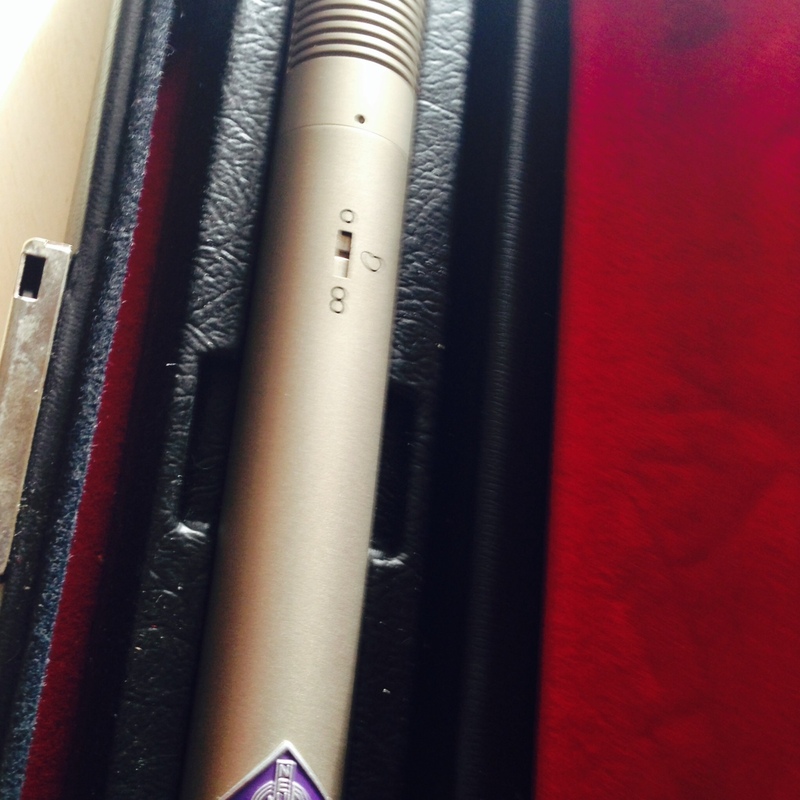 All instruments are standard mic-ed with my all-tube collection of Neumann classics (M49, KM64). Some projects ask for a different approach and environment. In the past I have worked mainly on location and I still love to do that, but having a plug & play studio has its advantages too as one can imagine. In my studio I record, mix, master and create music. 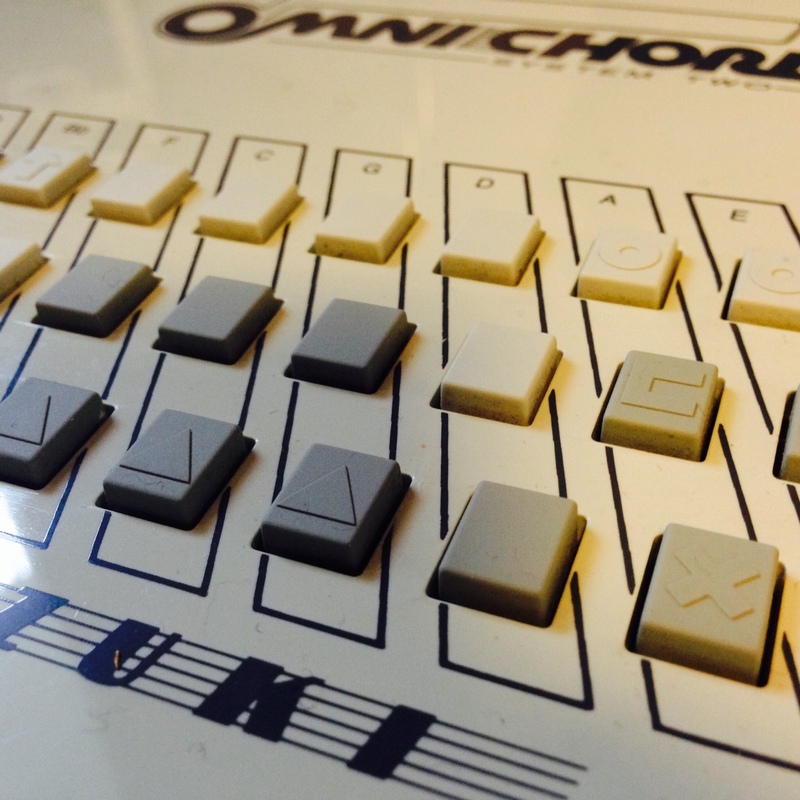 It is an environment I know very well and it gives me the chance to really push the (sonic) limits of music. When it comes to sound, I should be in charge. Not a badly designed apparatus with ugly electronics. Not a colored but 'world standard' monitor loudspeaker. 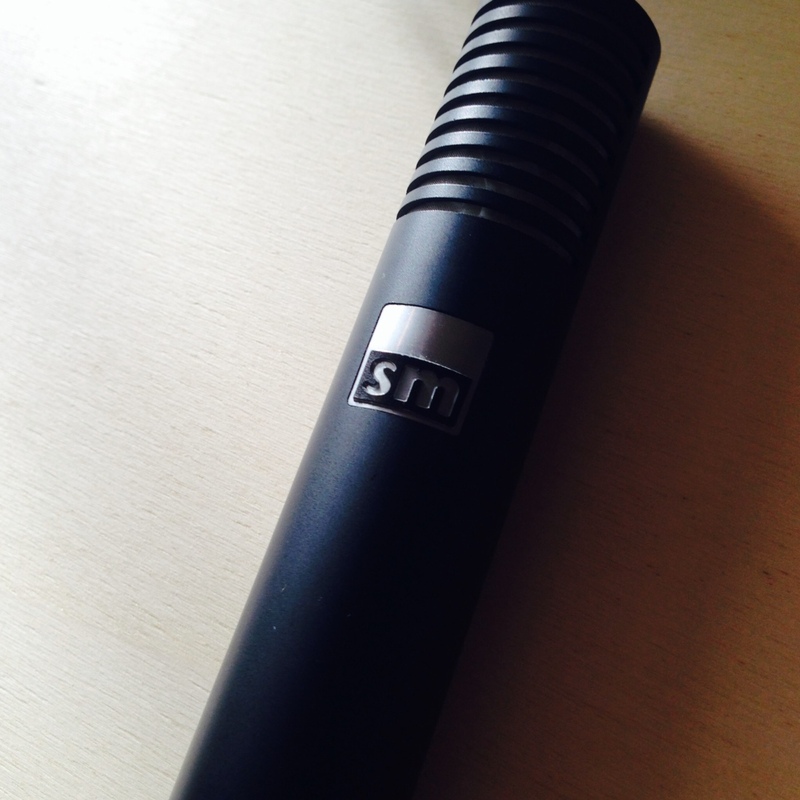 Not a 'vintage but off spec' mic (unless.....). It's important for me that I hear back every decision I make along the way. 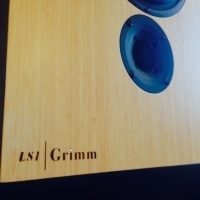 Therefore I bring my beloved Grimm Audio LS1 monitor loudspeakers when recording - in studio or on location. Having all instruments mic-ed without compromise (I have a large collection of top microphones available) creates a work flow which makes it easier to get creative and inspiration flow in the studio. Beside all this music stuff, I also have a career as an entrepreneur: founding and running a software company (syslogic) for almost ten years. Thereby I founded another new company (sense matters) in music technology, which is the proud owner of a patent. Music alone is not the only thing there is in life for me. My heart and mind both need the challenges the world has to offer. My strategic and technical skills and my fast and sharp thinking have been proven useful for companies and - much more important - for people. As a sparring partner, consultant and entrepreneur I like to work in several challinging areas and share my expertise with the world. UNIFONY is my first album. Its a collaboration with Minco Eggersman featuring Mathias Eick. Read more about UNIFONY here. 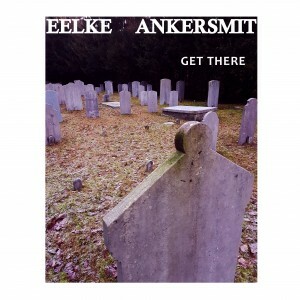 After working with Eelke on The Rag Trade record I produced, we again collaborated on his new single 'Get There'. I enjoyed it a lot working on it. It was a not recorded by me this time, only mixed an mastered. 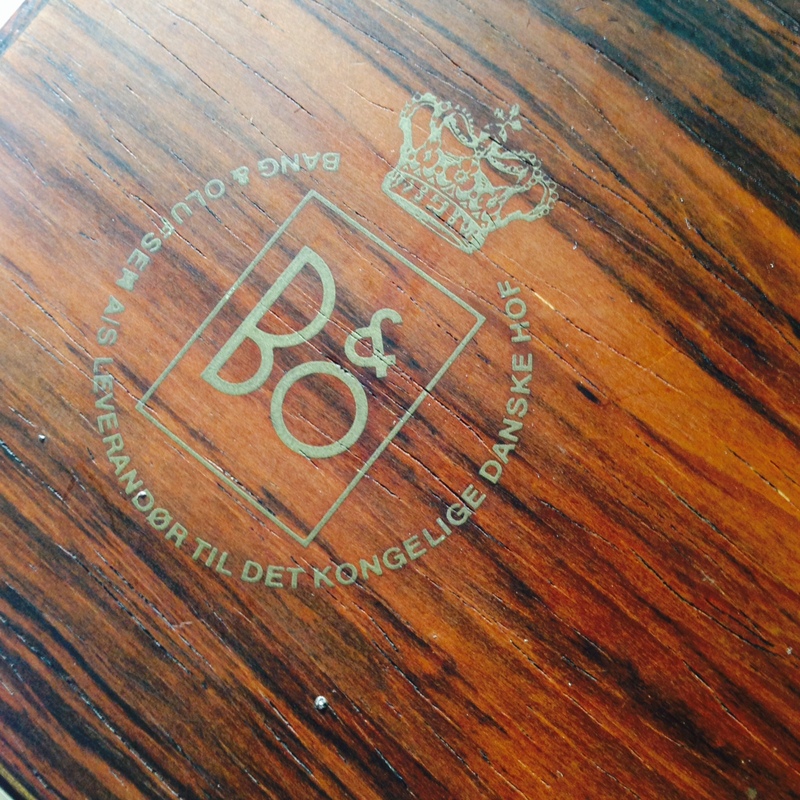 The recording was done quite straightforward and it was properly done by Bo. 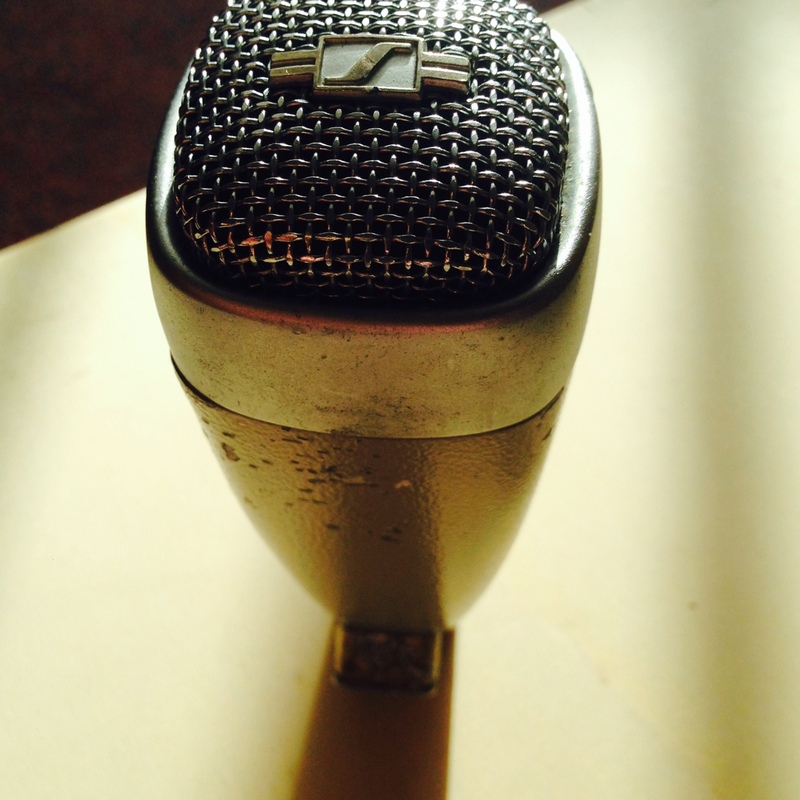 The use of ribbon microphones beside a SM57 on those guitar tracks gave me something to work with. When hearing them A-B (the ribbon and 57) you can hear why ribbons are so good: almost no resonance in the microphone, and smooth (lack off) highs. The song Eelke wrote is a high energy one, well performed and with a catchy chorus. Go listen to it! 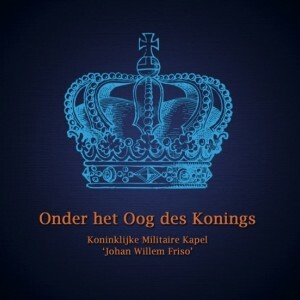 This record is based on original Dutch hymns, but recreated with new music. The new melody and harmony give the lyrics a new perspective, which makes the old words come to you in a new way. This project is founded by my good friend Bas van Nienes. 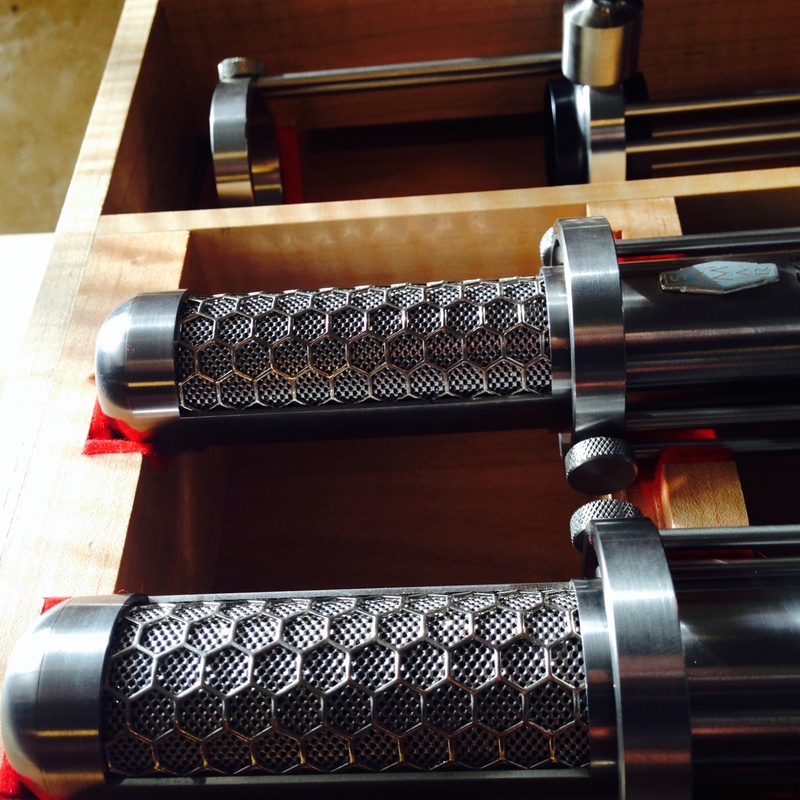 Together with Jeroen van der Werken, the three of us took care of this project. I did all the audio, as well as managing this project. For the live shows I do live sound while playing on stage! (all possible because the use of Leolab Omniwave loudspeaker setup). This project is shared with Tear and the dutch broadcasting organisation EO. It will be released in october 2016. 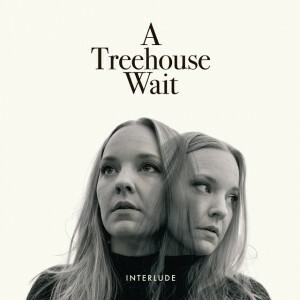 The swedish band A Treehouse Wait, with Jenny Wahlström (songs) and Emil Sydhagen (production) at its core, have deliverd a really great album. I heard their music in the fall of 2015 and got really enthousiast when I heard an album release was coming up. 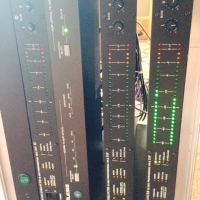 I offered my help as a mastering engineer so I could obtain the best sound possible. It has a lot of good energy and is really uplifting music. The lyrics are speaking to the heart and beware: the catchy melodies can keep you awake. Emil did a great production job here with a lot of good sounds and great atmosphere, all in service of the songs. I am very happy I could join this great team for a great release. Lárus makes very special instrumental music. He lives in a small community and builds his own instruments. 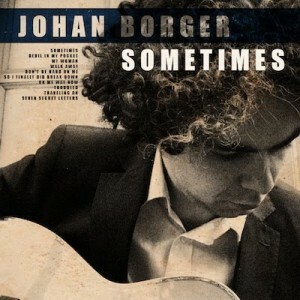 These you can hear among spacious guitars, vocals and celli in his atmospheric and sonically rich music. Being caught by Iceland myself I can say that his music catches some of the beautiful and powerful scenery one can find there. The rawness of the geology along the beauty of it are reflected in his music. I was very glad and honored to do the mix of this record. 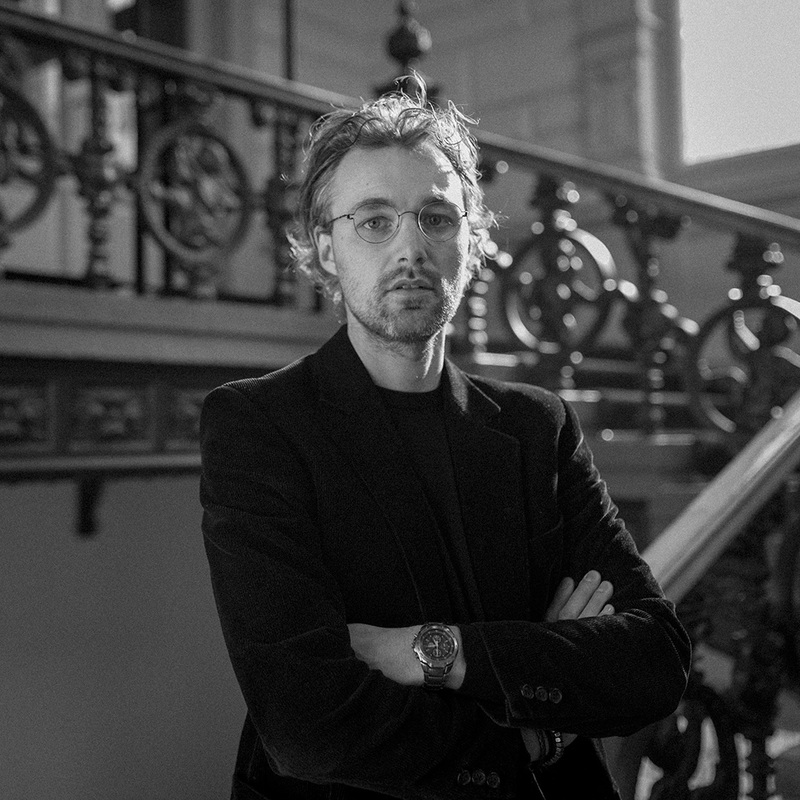 A quote from Hifi.nl: "De puike productie is afkomstig van Jan Borger, die ervoor zorgde dat de beoogde sfeer op het album goed op de luisteraar over kon komen"
Graduation project of jazz pianist Jan Geijtenbeek where he studied the works of Horace Silver and made composition inspired by his style. After our earlier coorporation on other projects, I had the honor to mix and master the album. It was recorded in Harlingen. 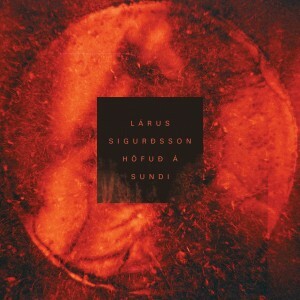 The earlier works of this Icelandic composer/musician are re-released on VOLKOREN. I did the mastering of these releases to obtain the best sound quality possible and it would match the great sound of the last release. 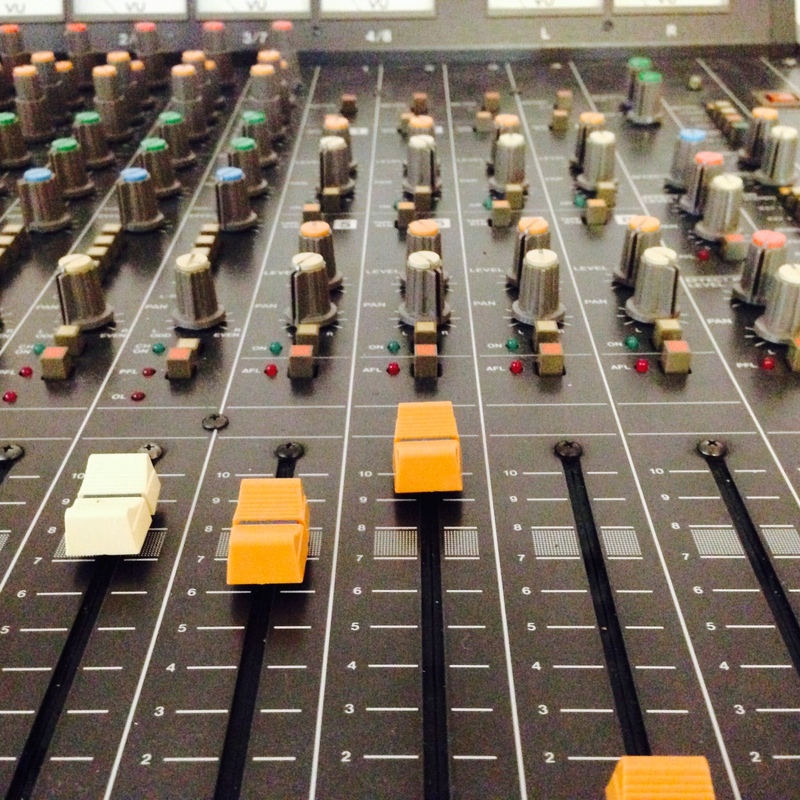 The recordings were fine so mastering them was a lovely job to do. 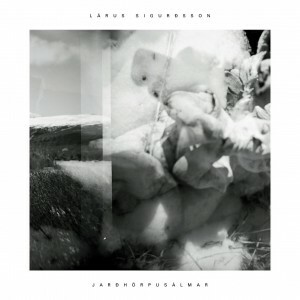 Jarðhörpusálmar is the title of an earlier work of Larus. 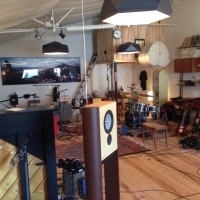 Jarðhörp is the name for his self build and designed instruments. Literalilly it means 'earth harp'. These are earth-harp psalms. 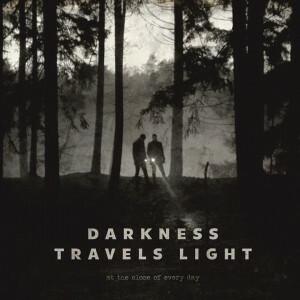 Beautiful atmospheric music which was recorded by Valgeir Sigurðsson (well known for a lot of great music). I had the honor to master this album. 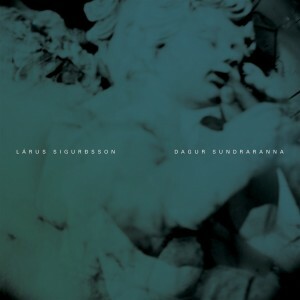 One of the earliest releases of Larus. 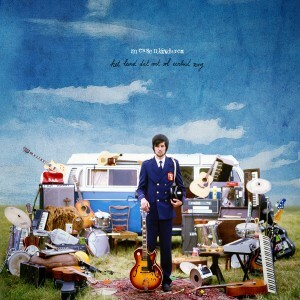 Re-released for the release of his new album 'we are told that we shine'. I did the mastering for this release. 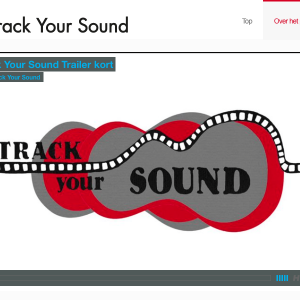 Track your sound is a educational project. It uses short movies and classical music to put scholars in touch with classical music. The scholars can edit their own movie with choosing about all different short parts and then edit a soundtrack for it, by choosing about 30 musical parts. I recorded the music for the project. Two string ensembles where recorded (Rotterdam Philharmonic Strings and the Strings from the Residentie Orchestra) in De Doelen in Rotterdam. 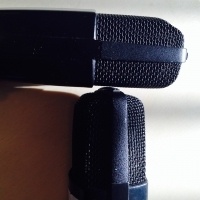 I used two different microphone configurations, both worked quite well. For the first session, which was primary focused on 20th century music, I used a Blumlein setup with the Samar MF65 ribbon. 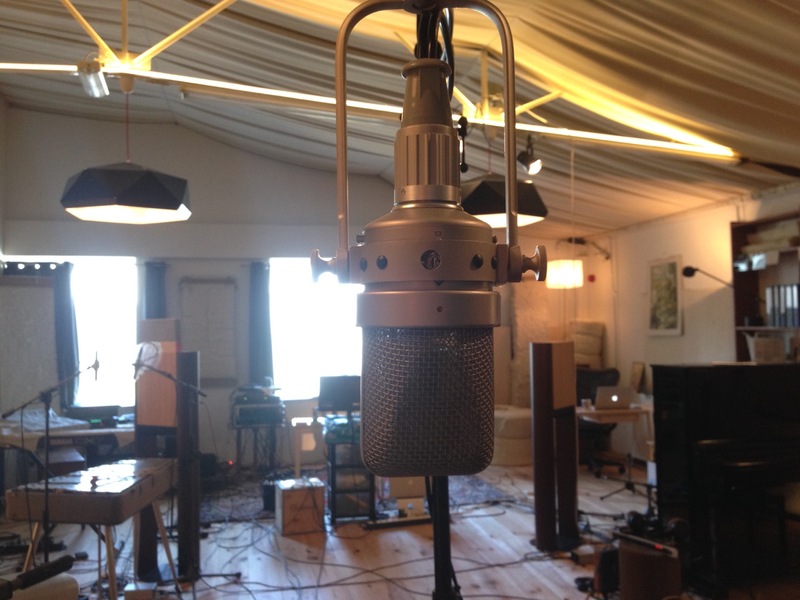 For the second session which was more romantic / baroque, I used KM83 as main microphones. The Blumlein gave a more direct and very good stereo image but is in a way less romantic as it reveals a lot details like the balance in the ensemble and tonality etcetera. 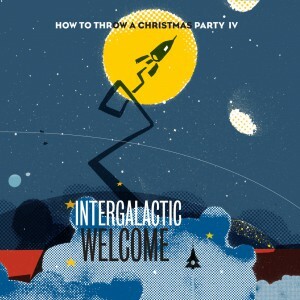 This fourth EP of this collaboration project of 10 and some more musicians from 5 bands together with an enthousiastic bunch of singers is really one of its kind and its the only reason to look forward to christmas. As a not-too-serious protest to all the commercial stuff which took over christmas from its original meaning (something with the birth of Jesus...) it takes some songs with a serious tone, some songs with a not so serious tone played and sung by skillful musicians who know eachother for over fifteen years. This makes some incredible friendly and unique atmosphere all put together in the music. I had the honours to join this time after I couldn't make it for the first round back in 2010. As all is recorded live in the same room in a little les than 2,5 days, it was quite a tough job to do. But even more gratifying to succeed. Check out their website for tourdates if you want to see me on stage. Of if you want to buy or download the EP. After six sabbatical years I had the honours to record, mix and master the latest album of this band. The first winners of the 3voor12 award back in 2003, they still got their audience. They have their unique sound. It's best to listen to this record after 22:00 and in accompany with the special brewed beer for this album, a Tongval audiobeer, which was the special edition of this release. Recorded in 6 days (march, april 2014) with some extra days for vocals and dubbing. 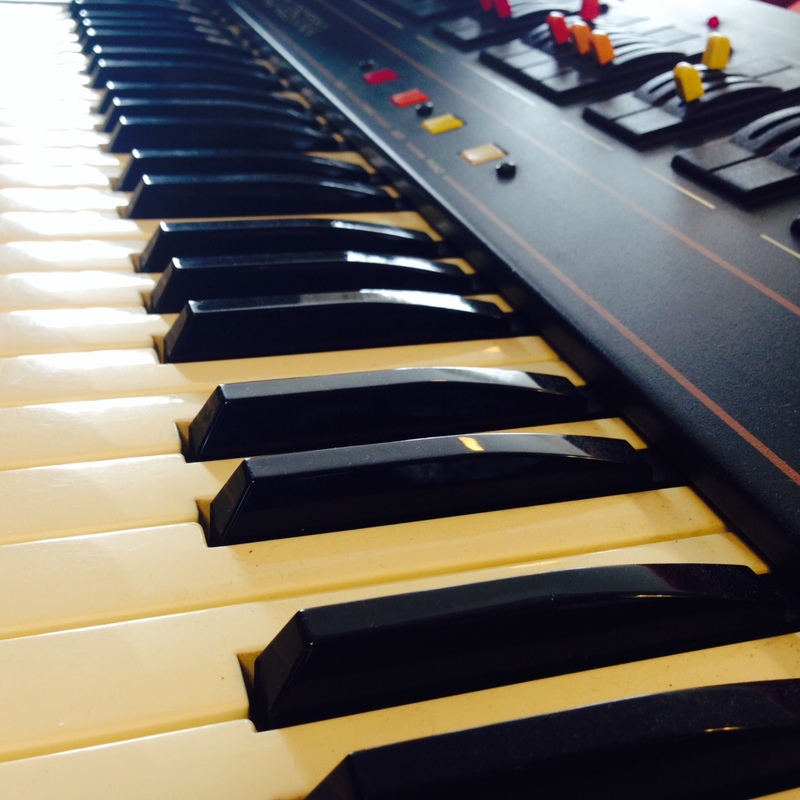 I played the keys (pump organ, synthesizer, piano (except the last piece)). Used a lot of tape echo. My two Fender amps form the fundamental sound of the electrical guitars, apart from Axel Kabboord his playing of course. Used Neumann KM84 on vocals, which suprisingly worked very good on minco's voice. 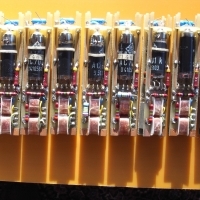 Samar MF65 for some part for the drums. 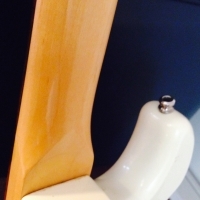 Mostly AT4033 for electric guitar and AT4033 / MF65 for acoustical guitars. "De bijna voor Volkoren vanzelfsprekend lijkende hoge mate van geluidskwaliteit (jawel, Jan Borger was weer goed bezig) versterkt de plaat enorm." 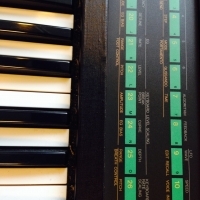 A lot of chorus and tape delay were used during mixing this album. For this projects I was asked as an assistant. Recording a brass orchestra was new for me and I have had a pleasant and learnful experience. 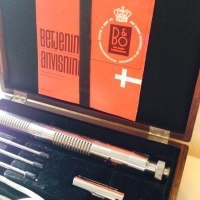 I had the honor to work on the side of Jaap de Jong, my mentor, with Freek Sluijs and Gert Buitenhuis as a balance engineer. My duty was to operate the computer and keep it running smooth and sound. Some of the works we recorded were composed especially for the coronation of the King. After I recorded their debut album, they went to a studio for this one. With a proper Grand Piano (Yamah C7). 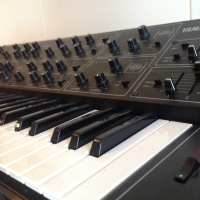 I was glad I still could add a little bit to the sound, as I did the mastering of this album. Cheerful music, as these young boys reflect their vivid view of life in their playing. Jan writes great songs. Jazz with a smile and a groove. 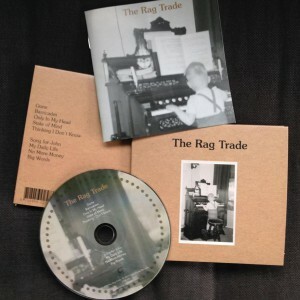 A great americana record we captured live in the autumn of 2012. One of the best recordings I did. All turned out very well. I just mixed it in the spring of 2014. It sounds beautiful. Luckily, Cane Goose Records released it in the late summer of 2014 on CD and 180 grams vinyl (24 bits master). It is one of those rare examples of how things can turn around from a disaster to something extraordinary. 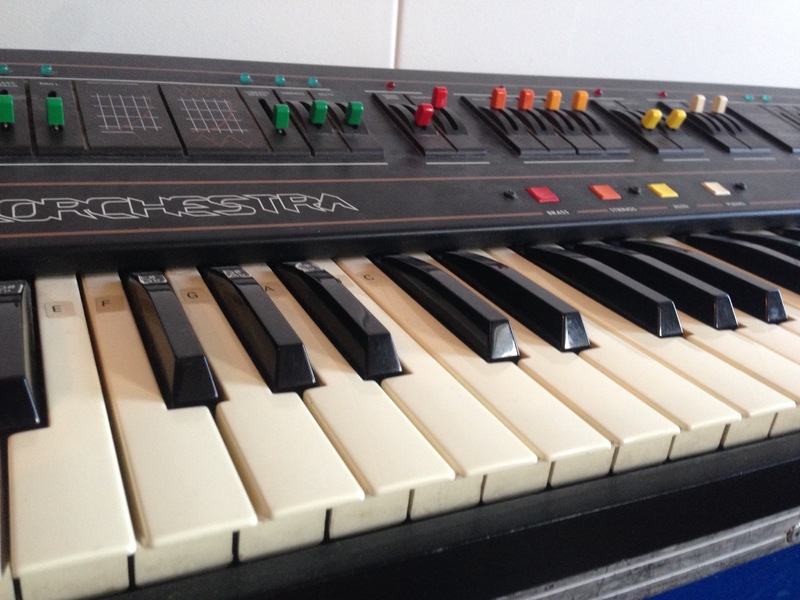 Two weeks before recording the band planned, decided to quit on the project Mischa Porte planned to do with me. One option left: put the old band together, take some of the old songs, bring them alive with input of a new band member and instrument. As everyone grew a lot in their expertise since that last rehearsal years back, we all got inspirated and excited for the recording week. It turned out all very nice, working out well. We recorded in the central hall of my first primary school in my home town during the autumn break. The only problem was the school bell ringing four times a day. Alway unexpected of course... You might even hear that if you listen very closely. 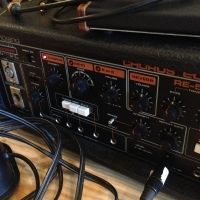 Vocals were recorded live using a Sanken CU31. It has a special dual diagram with very high rejection and a very nice off-axis response. 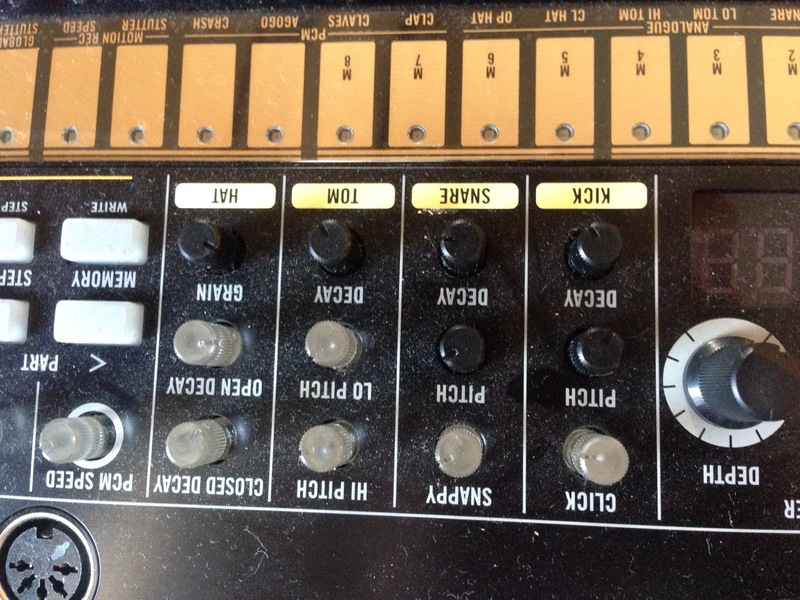 The diagram is very thin (little bit like the nickel KK56) and it sounds very nice. 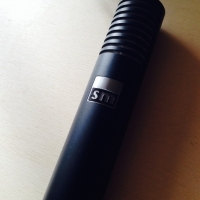 Only disadvantage is 10dB lower output than similar SD mics. 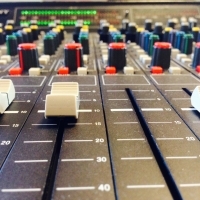 De liefde voor goede weergave van Cane Goose Records en de mannen achter de knoppen hebben gezorgd voor een erg mooi, detailrijk en zeer gelaagde sound met een audiofiel karakter. 8,5/10 for sound (CD) and 9/10 for sound (LP). 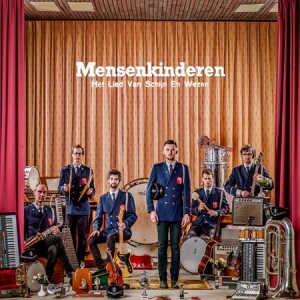 The second Mensenkinderen album was the opposite of the first. A collaboration with many people. I did part of the production and all the engineering. It's a joy to listen to the album. As it is a very diverse set of songs there always is something to your liking. We recorded the basics during a few days in fall 2012. After that some babies were born. During these breaks the project grew and expanded. In the end it almost collapsed of all the ideas. If you listen carefully there is a lot to discover. 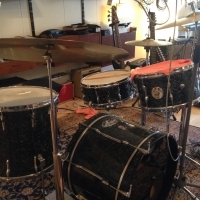 The drums I recorded first, the rest was added afterwards. The drumsound I captured was a whole different style, so it needed some good mixing afterwards (...). An interesting process which required an approach quite new to me. But this is where collaboration comes in. Brass and strings were recorded in two days! All and all, just a miracle what we did together. 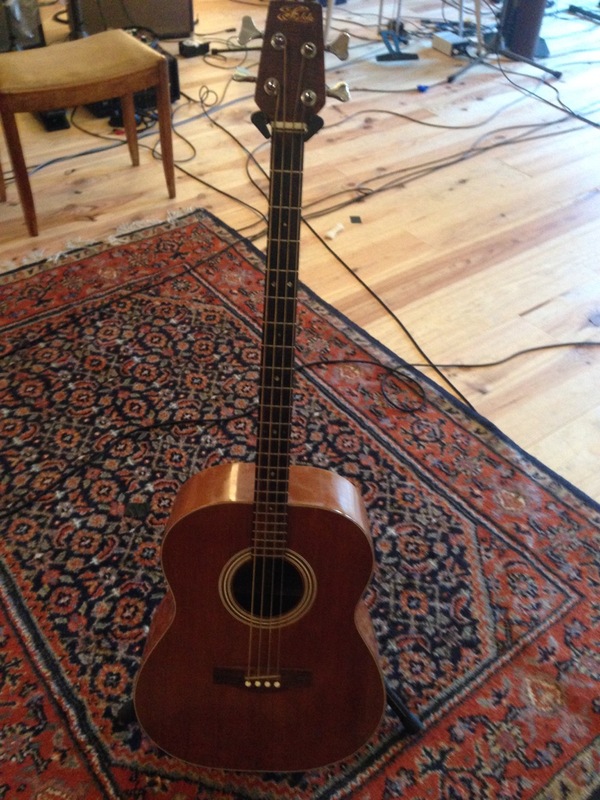 I used a special setup to capture the acoustical guitars on 'De waarheid sijpelt'. Two guitars played together. I positioned them facing towards eachother and put two KM88's in between them. You hear the fast nickel capsule working very well with this kind of playing. The exact details I don't know for sure (which settings for example...). But it worked very well I think.The balance was set on the spot, not in the mix. A (whole) lot of effort is put in this record from a lot of skillful people. Enjoy! This record was released in 2013, but was recorded somewhere in 2007. 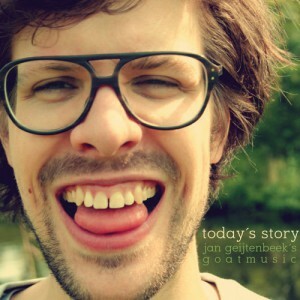 It has a history on it, as I recorded this during one of many voluntary recording sessions in Klein Koninkrijk in Olst. A small venue where many fine musicians came by for more than 10 years (but which will stop this year). 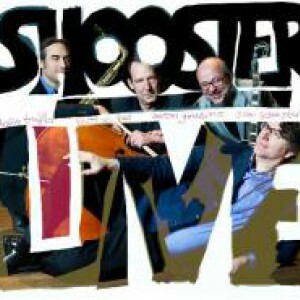 The performance Shooster gave back in 2007 was great. It was vivid and full of enthousiasm, energy and fun. It was for me a prove that live and acoustic approach are a wonderful way of recording this kind of music. The only thing was not so many could enjoy it, because I only did it for myself (developming my skill, fiddling around with microphone configurations, etc) and the owners of the venue and for the band. Now, after 6 years, I got this phone call which said: 'Do you still have the uneditted files of that evening? Because we (the band) keep coming back to those cd's you made for us. 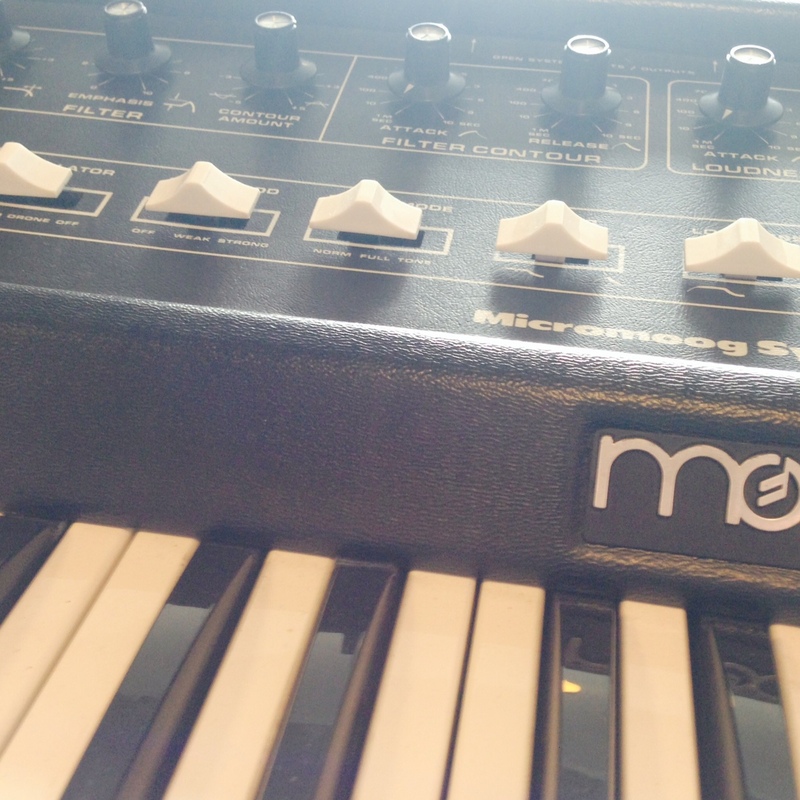 It just sounds so good and the vibe is great'. Yay! I thought. Finally. 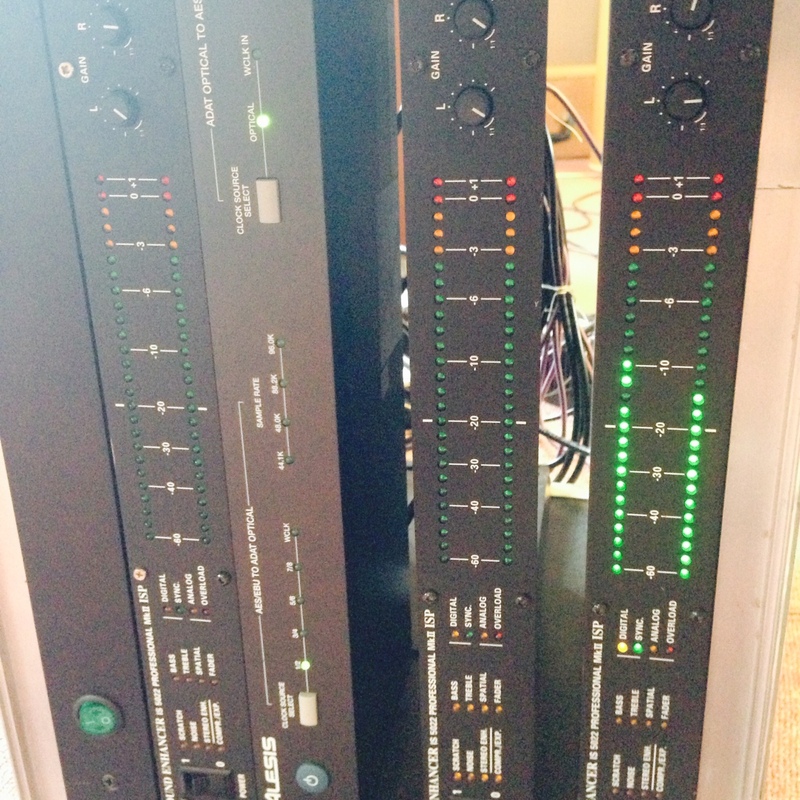 So there I did some editting with Sven and Efraim and I refurbished some sound things (only tiny bits). Jazzflits schrijft: Die intimiteit staat de vitaliteit van dit uiterst energieke kwartet bepaald niet in de weg. Het spel is soms ook frivool en het prikkelt de verbeelding. 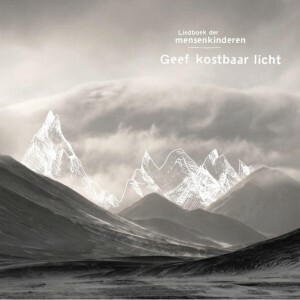 I recorded the debut album in the venue I did a lot of voluntary recording: Klein Koninkrijk. I've seen a lot of great jazz being performed there. This was the reason I thought it was nice to go back there to record the debut album of Jan and his quartet. They were graduating from the Zwolle Conservatory at that time, which is nearby Klein Koninkrijk in Olst. There were a lot of things which where different then expected when recording this album. The drummer couldn't be there. So there was a stand-in drummer (which now is the main drummer). The piano was worse than expected. 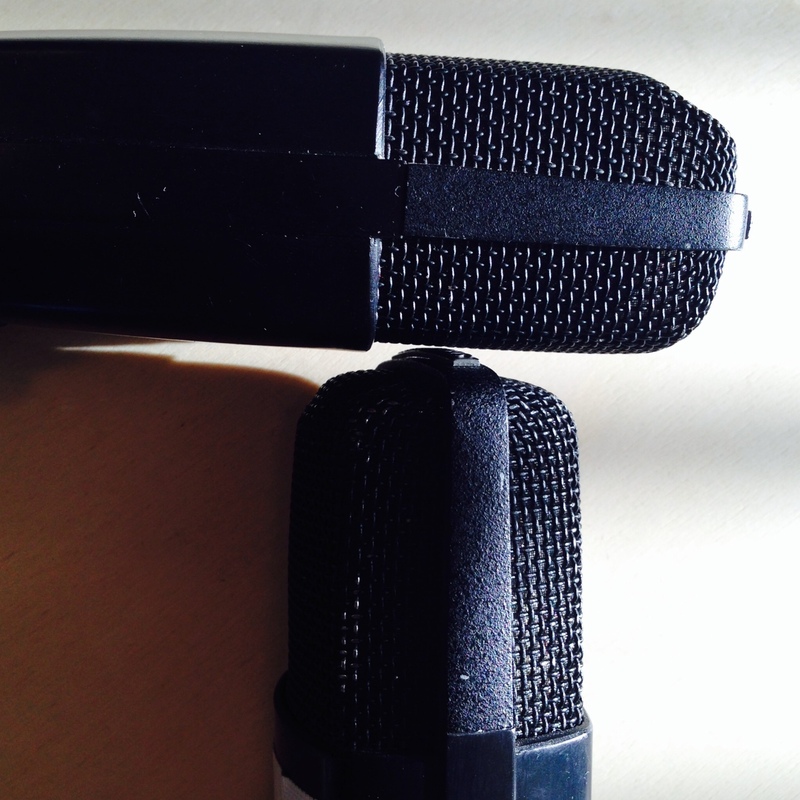 My ribbon microphones arrived two days after the session due to customs. Not very helpful. 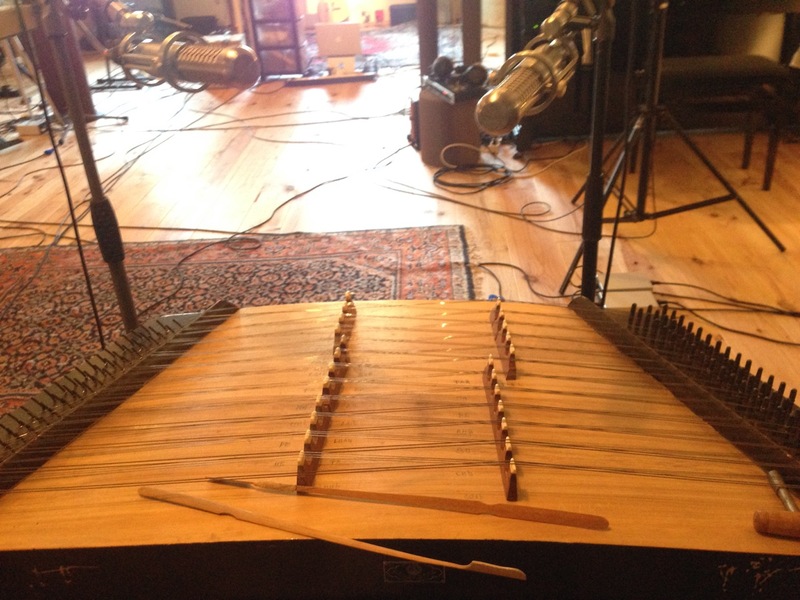 The approach was a blend of acoustic and close micing. But the acoustic didn't work very well because the balance of the quartet was too far off. In two days, we set up in the living room of Klein Koninkrijk and recorded the album which was a great experience for Jan and his quartet. For me it was nice as to go back to the place I made so many great recordings of intimate performances of great musicians, like Paul Berner, Sven Schuster (Shooster), Eric Vloeimans, Yuri Honing, etc. 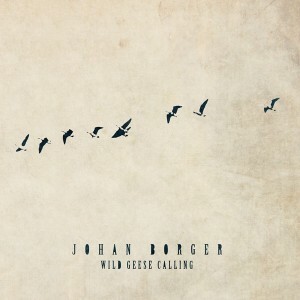 Second album of Johan Borger. Recorded live in an old 19th century farm in my home town, where a lot of good things come from. Americana/folk/singer-songwriter with high quality songs. We took time to set up the studio and to figure out the best position of instruments and microphones. We got a special atmopshere but it took us some days to get everything up working at the way we wanted it to work. When that finally happened, things went fast. We recorded five songs on the they everything was settled! All was recorded live in the same room. That means vocals too. And drums and double bass. Only some harmony vocals we're dubbed in later on, and some percussion. 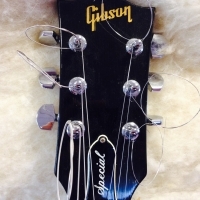 Getting the lead vocal and the acoustical guitar right, wasn't an easy job. We wanted to have close micing, so no A B approach would work for this. My KM88 on an figure of eight really helped here. 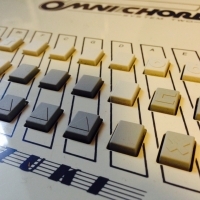 You can hear the beautiful KK56 capsule on omni working on Mariecke her harmony vocal. Cheers! 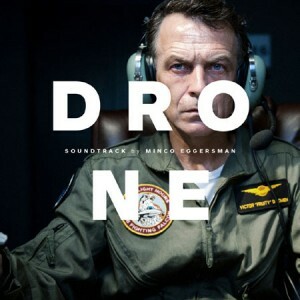 Duo soundtrack album with soundtracks of Drone, a tv-movie I recorded and produced with Minco Eggersman in 2011. 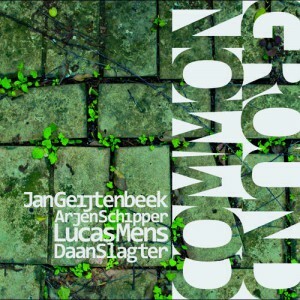 Also on the album is the soundtrack of De Nieuwe Wereld (The New World). Both are great movies by Jaap van Heusden. 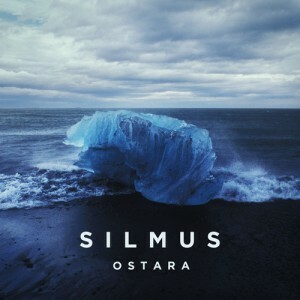 The album was released this year (2013). I did the mastering and some mixing too. Highly praised debut album of my sister. Beautiful songs sung by a beautiful voice. Great band. With help of ie. Bertolf and Mischa Porte. Besides others. 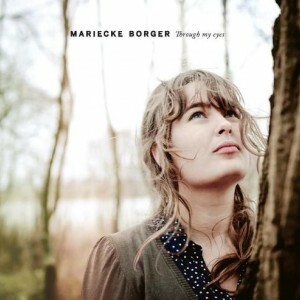 This record is recognized as one of the best sounding records of the year by colleagues, mentioned in hifi.nl's yearbook. Mastering for this album is done by Eelco Grimm. Second book by Rick de Gier, lead singer of Ponoka. 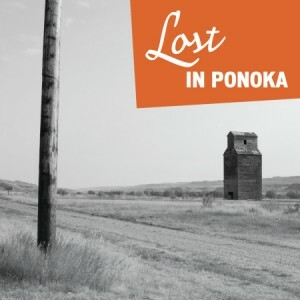 This book has short stories with photo's of the town Ponoka. And since a book cannot contain hearable music there is a CD included with songs aout the stories in the book. Really awesome isn't it? You can hear Canada in their song and playing. I did the mastering of the album. 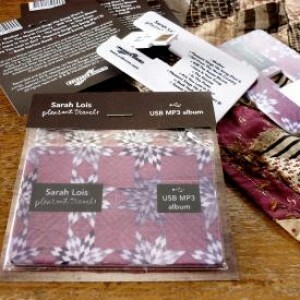 Sarah Lois' first album. We recorded at his parents house during a very windy week up in the north of The Netherlands. Roots music in its purest form. Check out that finger pickin! 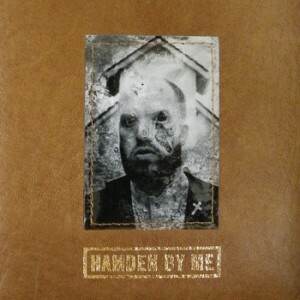 Solo project of anderson frontman Bas van Nienes. Home grown songs with real craftmanship. 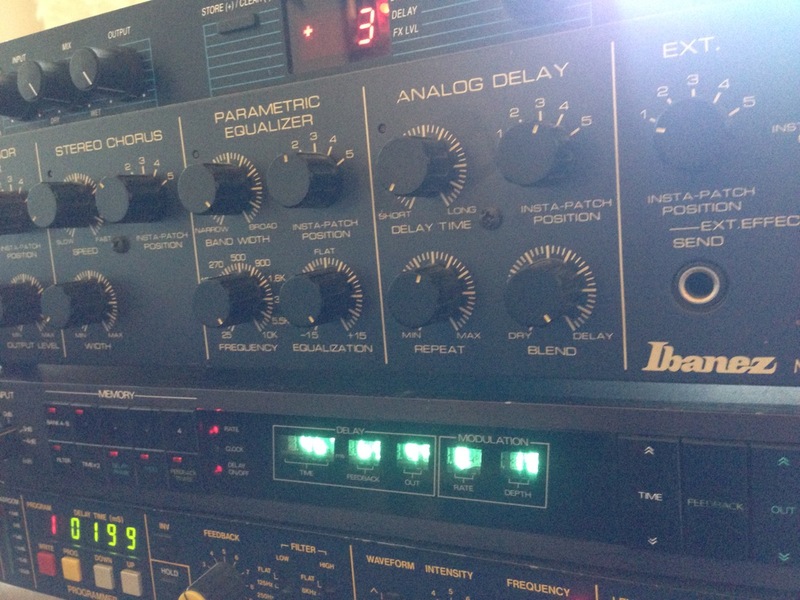 Helped out with some mixing issues at the last phase and did the mastering. 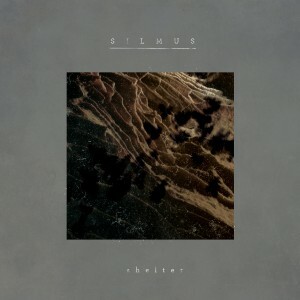 An instrumental/ambient album of Silmus. 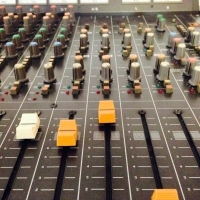 Together with Minco Eggersman we finished this production with some re-recording of instruments, re-amping and mixing. 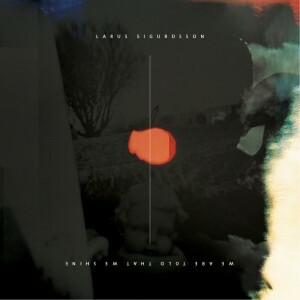 The end result is a very nice ambient album with song-like creations. 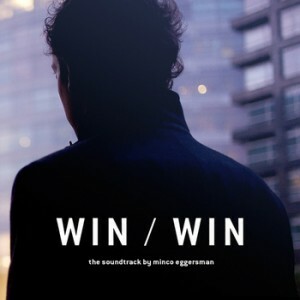 Third 'solo' album of Minco Eggersman (besides the soundtracks). Solo is of course referring to Minco writing the songs and making the fundamental production choices. As this record is very much influenced by the collaboration of Ruben Bekx, Minco, Mariecke and myself. We recorded in a very cold watertower at the windy spring of 2011. It was a very unique and inspring experience. The water tower had these very larger reservoirs with a very long natural reverb. At the end of the exhausting eight days of recording working around the clock, we sang and chanted there with the four of us. 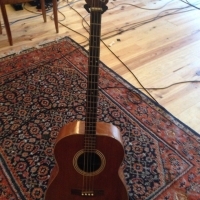 It resulted in an iPhone recording, which was put in the opening song of the album. Further more we had some issues with the drainage. During the cleaning we had no time to loose. While Minco and I recorded some exotic instruments for the instrumental track '1994', Ruben and Mariecke played the broomstick and the water hose which really added to the song. You can hear it very well and it wouldn't be the same song if left out. That's what I like about location recording! Ruben Bekx played almost every instrument you hear on this record, except for drums and some acoustic guitar. I have very warm (err, cold) memories to this week. I used my KM83's a lot. 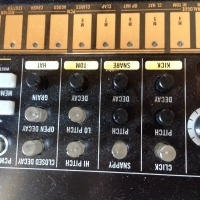 It worked beautiful with that natural reverb and getting the real distance and the defintion (on vocals, for example). The record was highly praised by the press and was acknowledged in the Hifi.nl yearbook. Because of the distributor's bankruptcy during the release week, this record has not reached the large public it should. It's a hidden gem. Go discover it! A very intense and special collaboration with my brother Johan. The recordings for this record are done in several years. In 2007 we finalized the project. It's his debut and it got high praises. It's my first serious acoustical high end production and I'm happy and thankful Cane Goose Record put this out on CD and a beautiful 180 grams vinyl so everyone can enjoy the beautiful songs of this album. 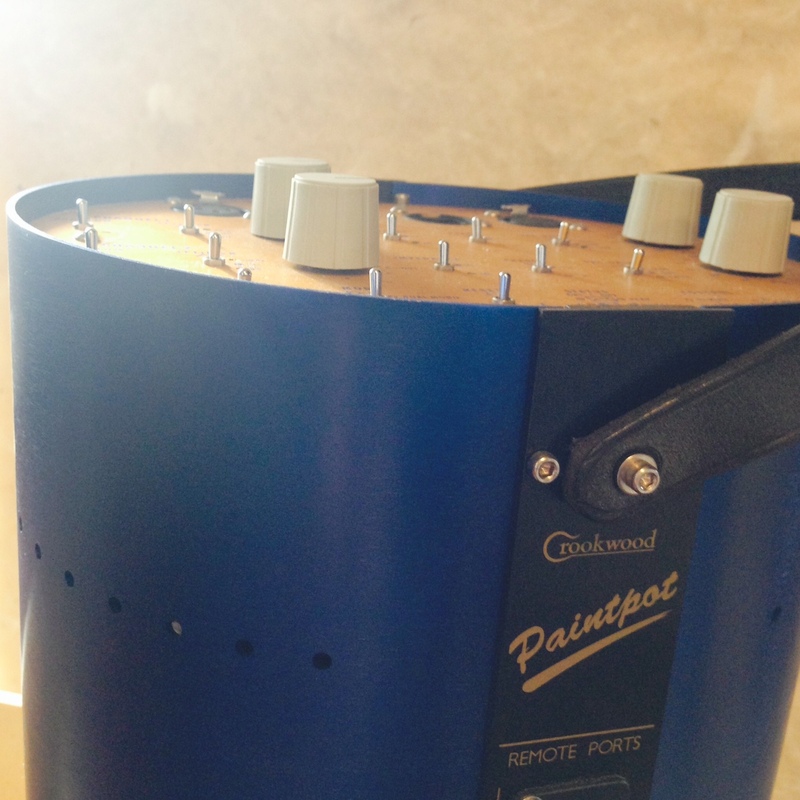 For this record I borrowed a second Crookwood Paintpot of Onno Scholtze and a pair of his Schoeps MK2S. 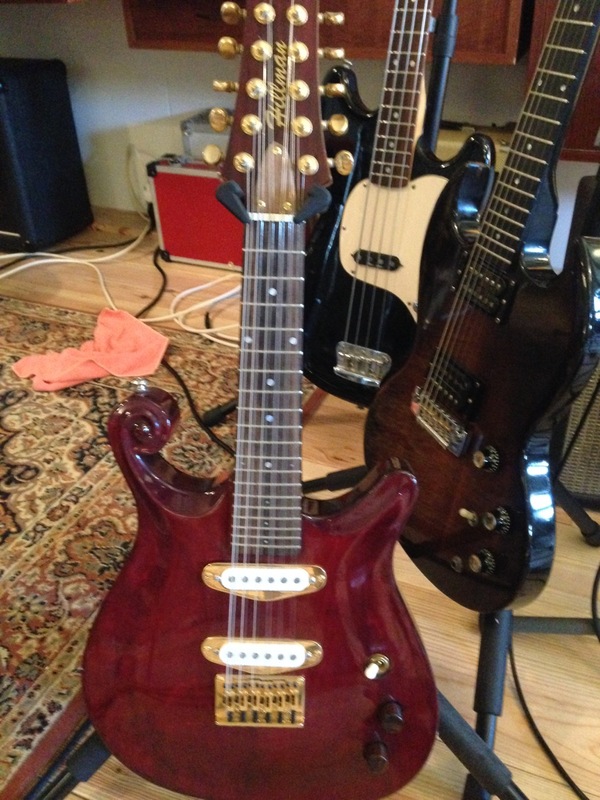 I used the Schoeps setup on the electric guitars for example (for some songs, depending on the time of the session). 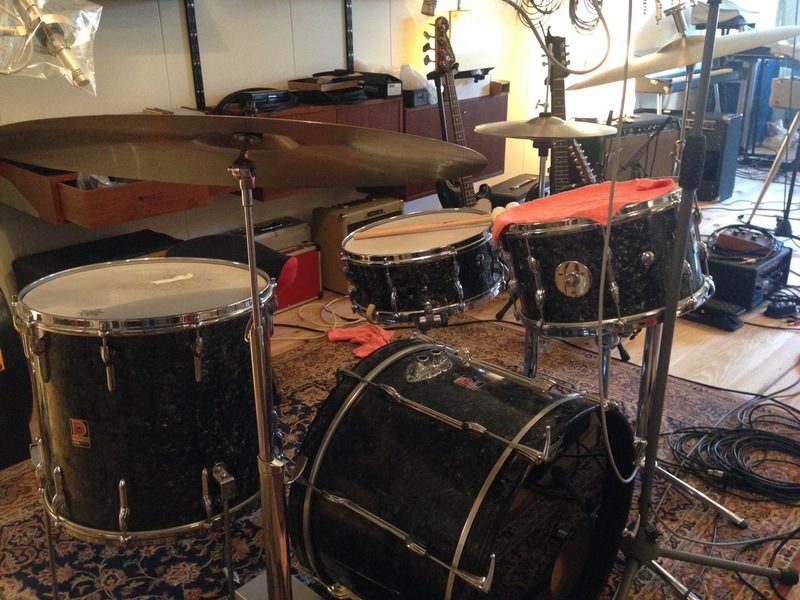 Almost everything was done with overdubs, only some drums and bass were recorded together. A lot of things where explored here for the first time. The first project Minco Eggersman and I did together. Worked out great. Recorded in an old American church. Great spacious and lush sound. 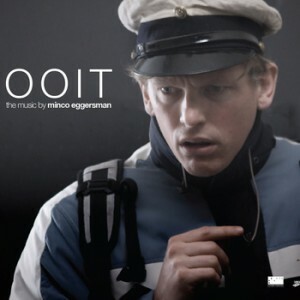 First soundtrack of Minco Eggersman for a film by Jaap van Heusden. I did the mastering of it. 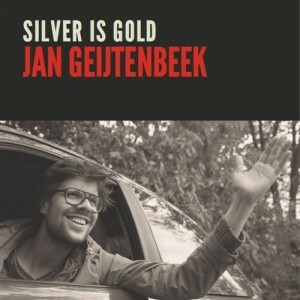 Second soundtrack from Minco Eggersman for full-length feature of Jaap van Heusden. I did some mastering for it. Unfortunately I was too busy to do the mixing. 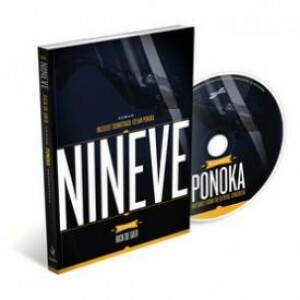 Nineve by RIck de Gier is his first book. It comes with a soundtrack, which I mastered. Very funny book. Very good songs. 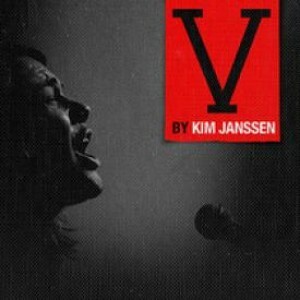 Kim Janssens debut EP on the VOLKOREN record label. As a 5th anniversary present this EP was recorded in just 2 days. With the help of my family. All great songs by other VOLKOREN artists like ME, brown feather sparrow, anderson, at the close of every day and Ponoka. Here is the gear section. We all know that what really matters, is in front of the microphone. Not in, or behind it. But still: I don't like it that things influence my sound without me knowing it. Therefore I work with the best monitor loudspeakers on the planet, so I can make rooted and firm choices without second guessing. I believe that it is highly important that microphones and all electronics in the signal chain really translate what musicians are doing. That means they have to be transparent or at least influence the sound in a musical way. This is why I use high quality gear with modified electronics of Jaap de Jong and Grimm Audio. 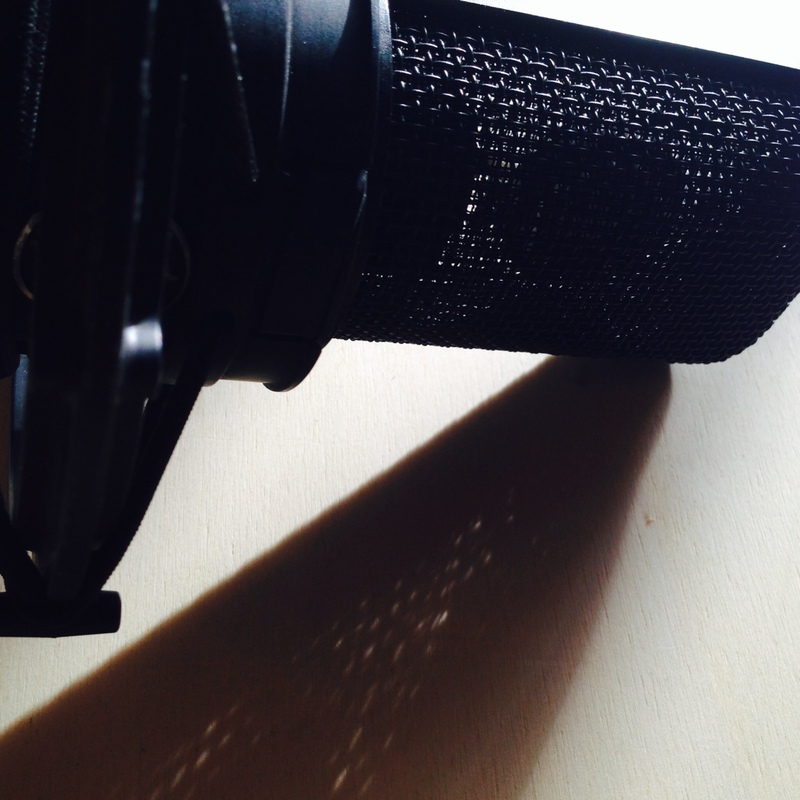 My microphones, preamps and other stuff are my 'paintbox'. 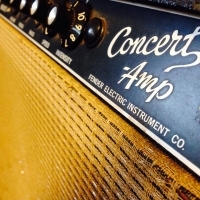 When I pick a certain guitar or amplifier, I just want to hear that sound. And not the sound of a bad converter or bad cable. 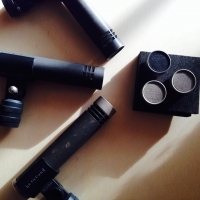 The microphones are used are (almost) all modified to make them sound more musical, more open. Even the famous German ones. WYHIWYG (what you hear is what you get). With that motto going strong, the music is made again out the box. Not in. 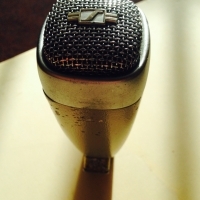 Since 2015 I have obtained a remarkable collection of vintage tube mics which allows me to record multi track live with tube mics only if thats what we want - quite unique for a small studio! Versatile Sony mixing desk. With modded electronics - of course. 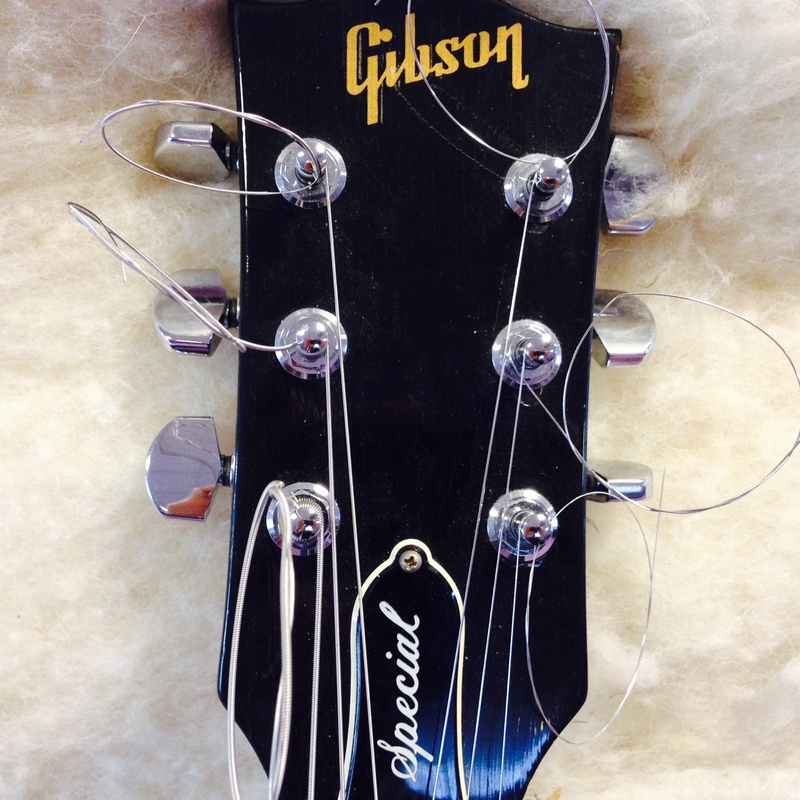 Gibson SG special. How sweet! 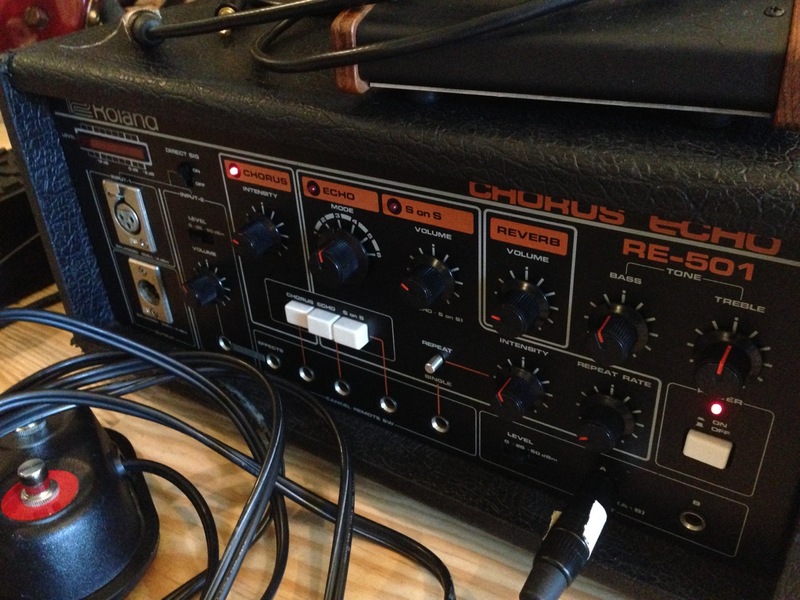 Roland tape echo with a super nice chorus and bonus spring reverb. 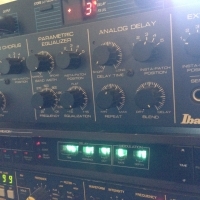 Analogue multi FX! 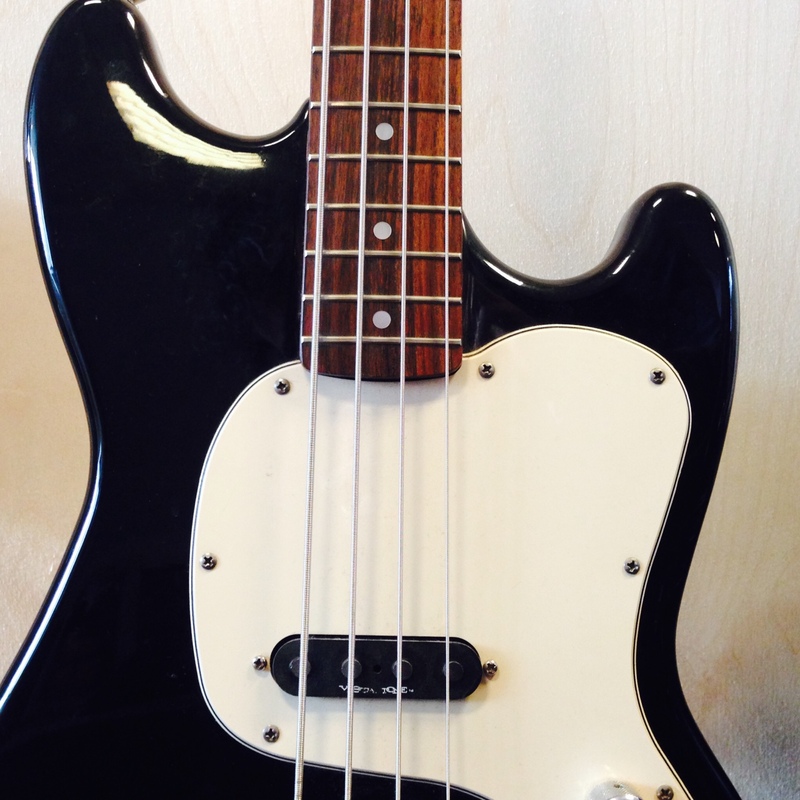 Short scale bass. Try it, love it. 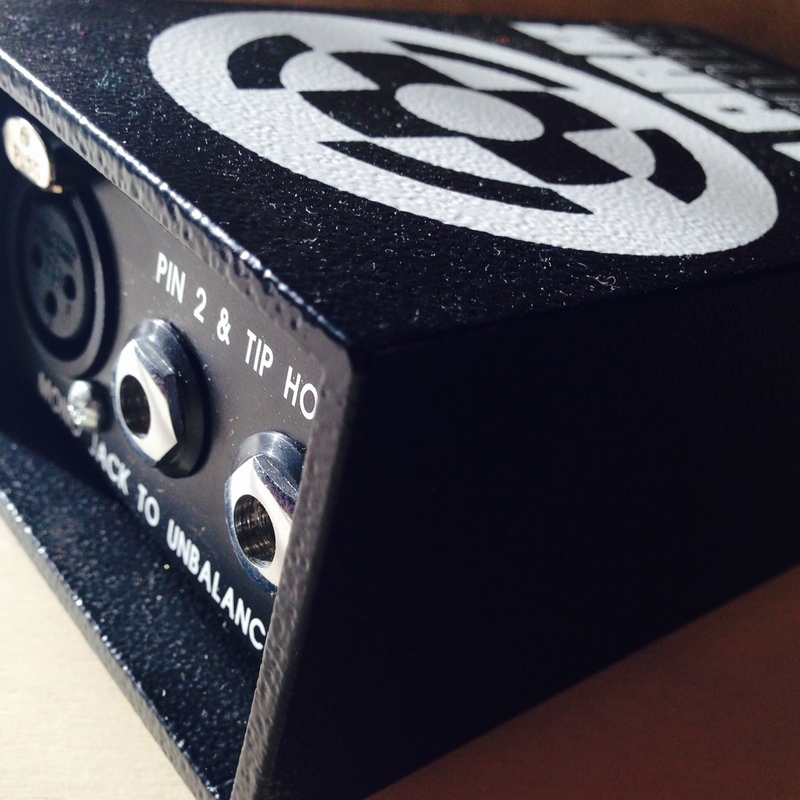 Coolest preamp in the world. 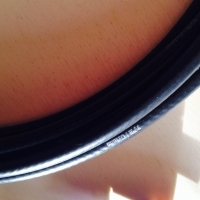 Hand build quality from Britain. 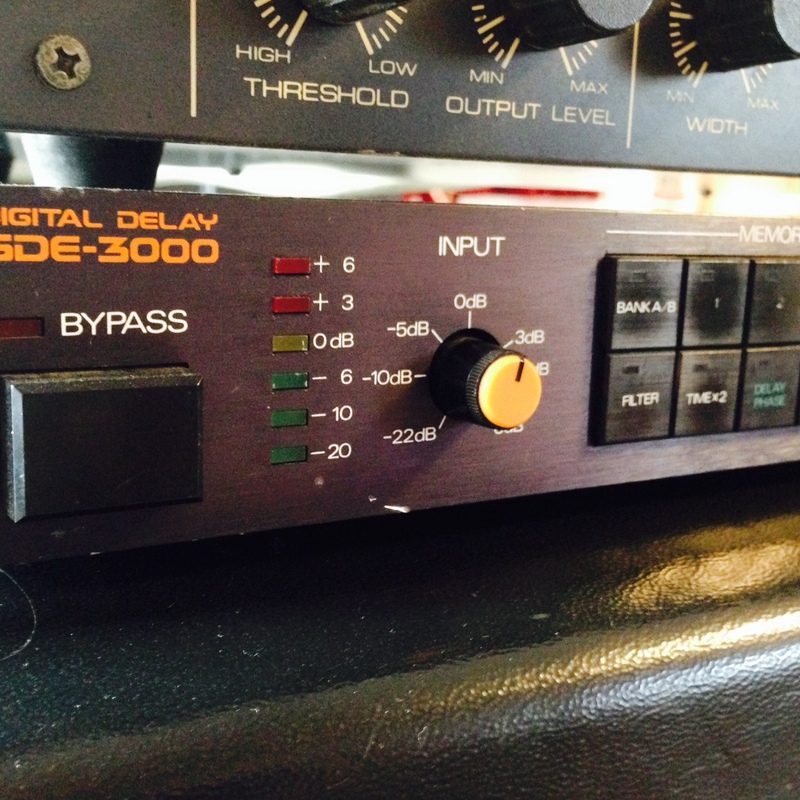 If you think digital delay from the 80s doesn't sound good, try this. With its special capsule design (leftovers from KM56 tube SD microphones) these are special sounding Neumanns. Got a black one too for some variation. With modded electronics. 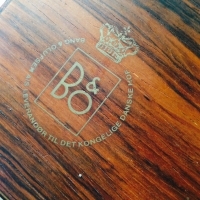 A Bang & Olufsen BM5 stereo ribbon from the early 60s. Have 3 of them. And 2 mono versions (BM6) as well. Special sound. 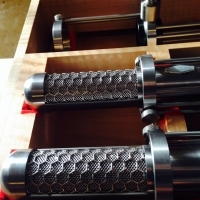 Hand build Samar MF65 ribbon microphones. Hearing is believing. Japanese beauty with very special capsule design. 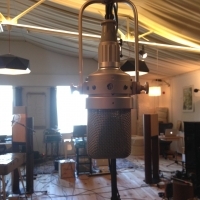 Ideal to record vocals in a live-recording setting while in the same room. Yes. MD421. Got 4 of them. One of my AT4033 medium diagram microphones. With modded electronics. A nice 'vintage' DI box. With modded electronics. 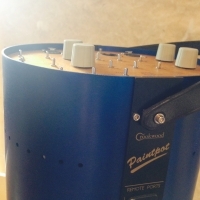 A nice instrument which you might here on some records while wondering: what is that sound? 3 in a box. KM83/84. With modded electronics. Grimm TPR cable. Just listen. 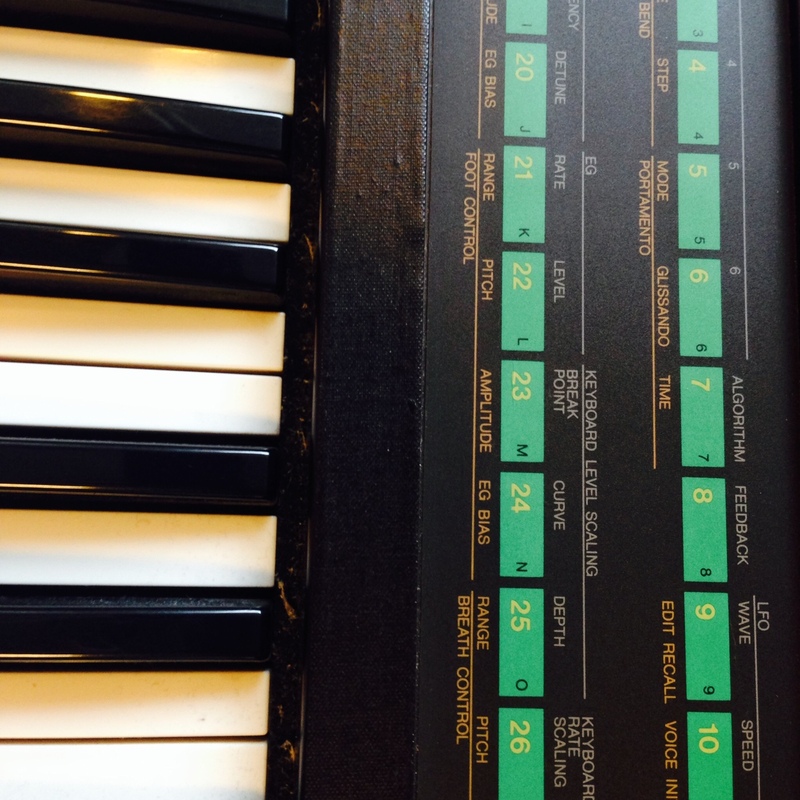 Sweet Yamaha CS15 duophonic synth. 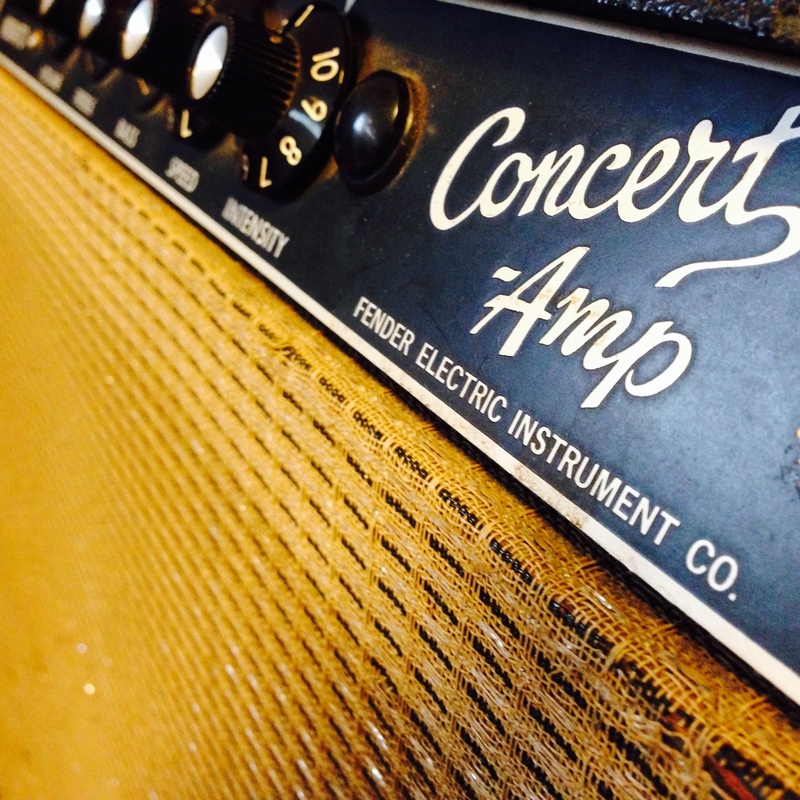 Vintage and sweet sounds! 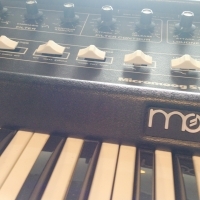 Great company for the micro moog. 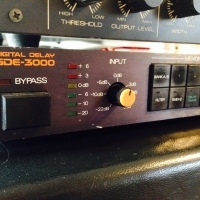 Korg SDE 3000 and Roland SDD 3000 top of the line classic delays with an Ibanez multi effect on top. 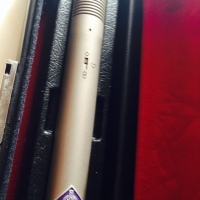 One of my two Neumann M49 microphones. 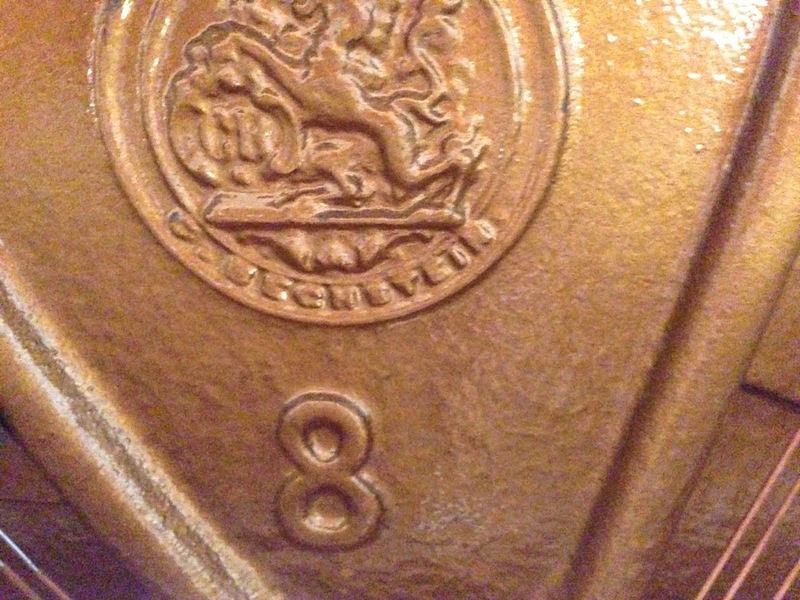 Completely restored by Andreas Grosser with the help of Puck Leek. 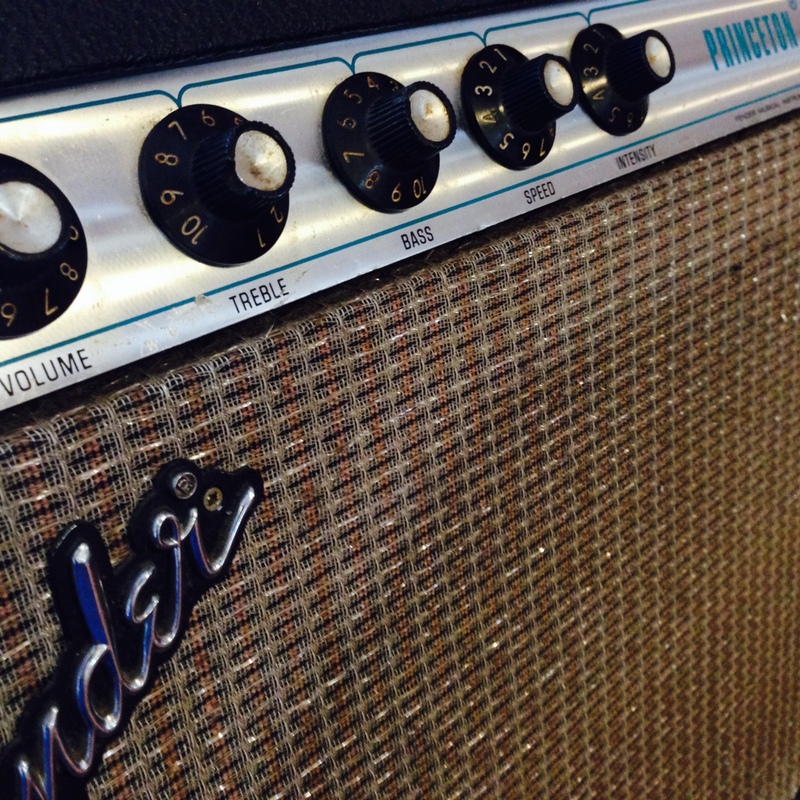 Upgraded electronics, new tubes, new capsule: terrific sound. Accompanies the Grimm MP1 PSU. 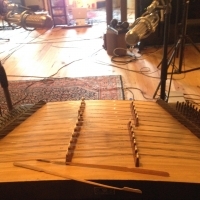 Persian Hammered Dulcimer. 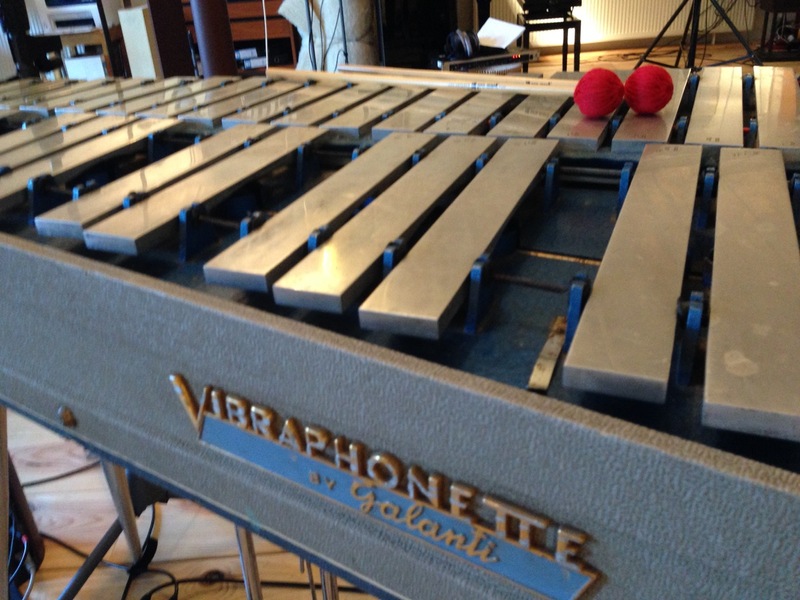 Great instrument for atmospheric sounds as well as a new flavor arrangements. 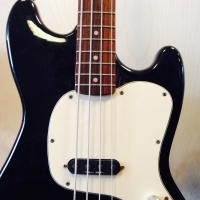 Most beautiful acoustic bass ever heard. Hand build in the UK by Fylde, this is a very rare instrument since only few survived since the early 70s when it was build. Hearing is believing. 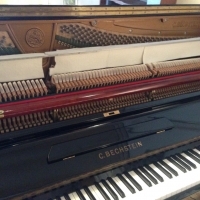 I am very proud of my 'greatest upright piano of all times' Bechstein 8. Famous for being used on beatles records, amongst others. It really is true what you read about it on the internet. Come and hear for yourself. 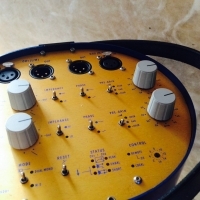 Vintage portable (!) 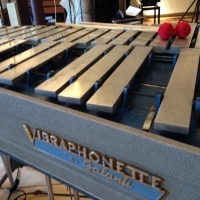 vibraphone by Italian makers Galanti. Looks as sweet as it sounds. 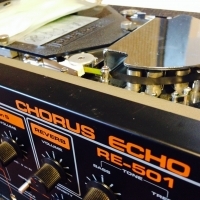 Roland Space Echo, the bigger brother of the famous RE-201. Octave Guitar. 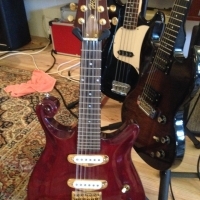 Hand build by famous Dutch guitar builder Henk Heuvelman (Hillman). The inner works of my rare collection of 10 (!) 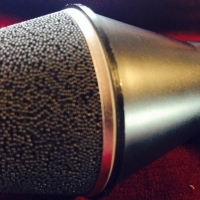 Neumann KM64 microphones. 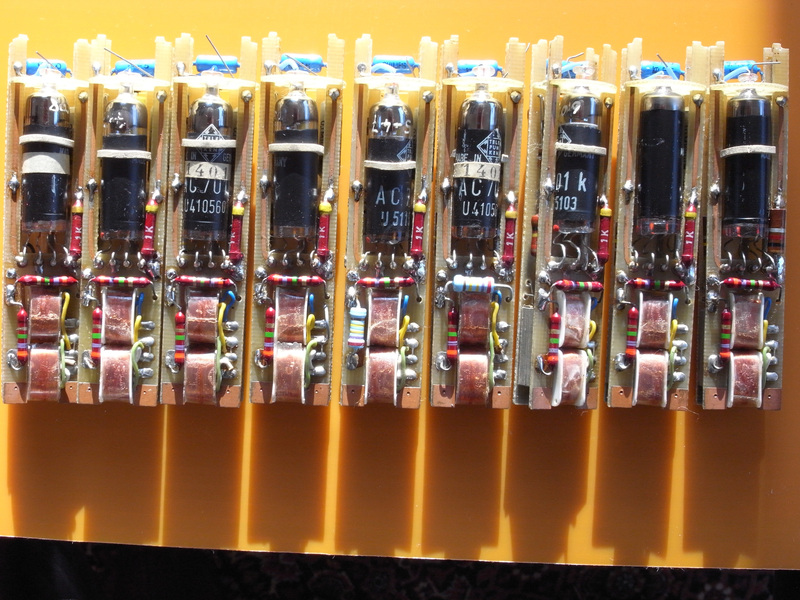 Special electronics of Jaap de Jong. 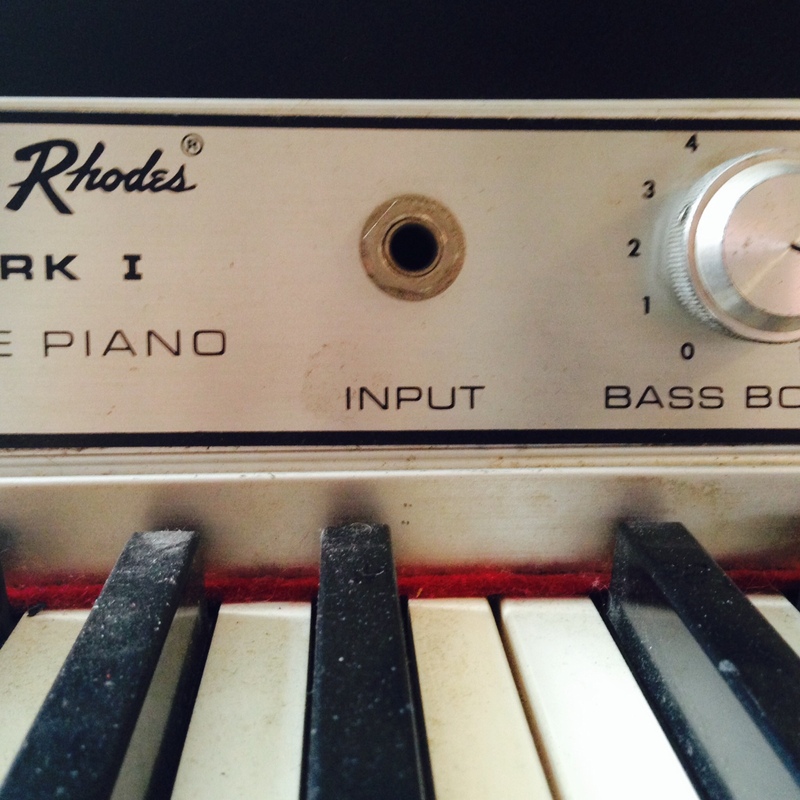 There were used on very famous orchestral recordings of Philips Classics. Like Gergievs famous recordings of this label. Most of them done by Jaap de Jong with these microphones. About me. 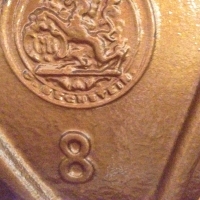 Born 1982 as the oldest in a family of four. In the background picture of this section, you can see the house I was born in, giving its last blow before molested definitively. There always was a lot of music in the house as my dad was (and still is) a professional musician. I was keen on music, playing the piano at a very early age. 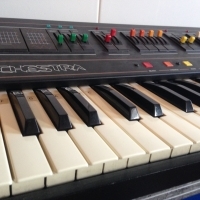 How strange that these first meetings with one musical instrument still set your preference today when it comes to what feels natural as an instrument. A keyboard just suits me I think. Anyhow, I started to listen to my own music in the 90s. I liked Bon Jovi, REM, Guns n Roses (Slash!!!) and a lot of charts popular music... Really! A lot has changed since then (in many aspects). But what stayed is I still like a lot of different kinds of music. As long as it is durable, and original - which isn't always the case. Computers where appealing and soon I taught myself everything I wanted to know about computers and software. I worked in every computer store in town until the last one closed their doors. When I needed a website for my band I started building it myself, programming it by learning a programming language and everything else needed. 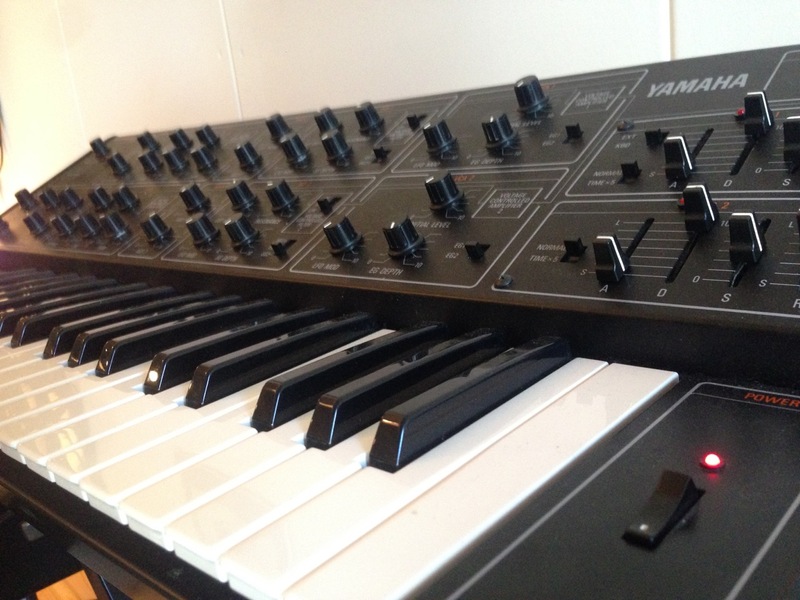 Now I had two hobbies: music and computers. A happy accident led me to the the great HKU KMT art school with applied technical and design and art program and I started the Audio Design course. Four years later I graduated (master) as a studio technician and software engineer. I learned most from Eelco Grimm and Onno Scholtze. Thanks for that. After graduation, I started a software company (Syslogic) which I ran for little more than 10 years. During these years I still made and recorded music but on a low level. I had to run the company and it grew with a steady pace to a solid business. Since the company came into its next phase, I am back with my first love: music. 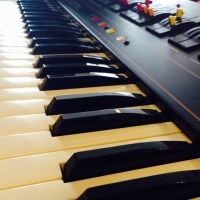 In 2016, I found back the path to my composing and playing urge. In collaboration with minco eggersman I started the UNIFONY project: a complete unique new way emerged in making music for both of us. So I made (as in, composed, played, produced, recorded, etc) an album which will find its way to the world soon. I am very proud of it.